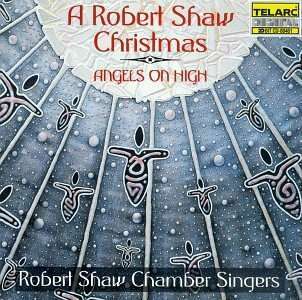 Der Artikel Robert Shaw Chamber Singers - Angels on High wurde in den Warenkorb gelegt. 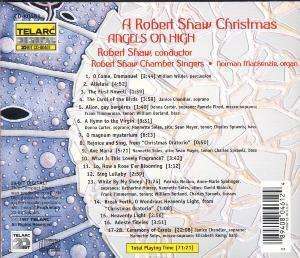 O come, Emmanuel; Alleluja; The first Noel; Carol of the Birds; Ave Maria; Sing Lullaby u. a.
Künstler: Donna Carter, Janice Chandler, Sean Mayer, Robert Shaw Chamber Singer, Robert Shaw u. a.
Hörprobe Track 10: What is this lovely fragrance? 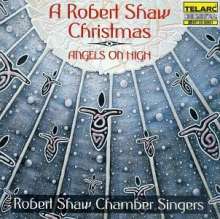 Robert Shaw Chamber Singers: What is this lovely fragrance? Hörprobe Track 18: Ceremony of Carols: Wolcum yole! Robert Shaw Chamber Singers: Ceremony of Carols: Wolcum yole!